My local context is southern New Jersey, which means Bergen County-based 3RDegree virtually rehearse in my backyard. As an added bonus, I had the opportunity to get inside their heads (read my interview with bassist Robert Pashman and the band’s LA-based guitarist Patrick Kleisch here) to discuss the thematic elements of their recently released fifth album, the history of the band, and the implications of a Volume 2 soon to come. 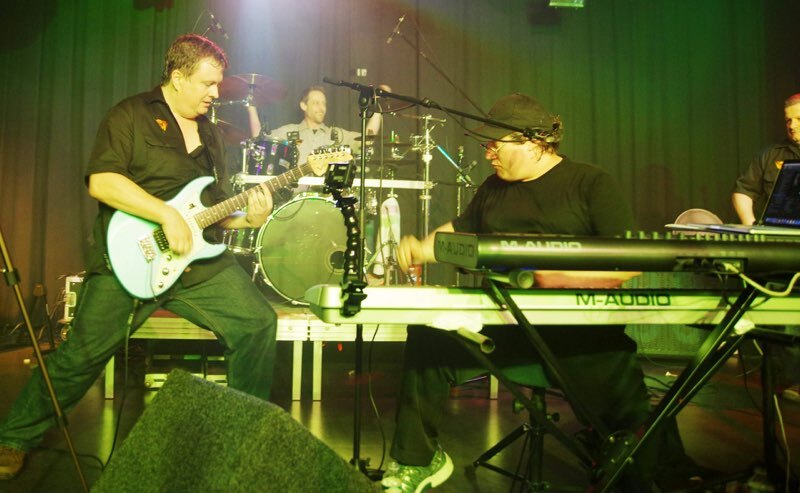 3RDegree are George Dobbs (lead/backing vocals, keys, percussion), Robert Pashman (bass guitars, additional keyboards, backing vocals), Patrick Kliesch (guitars, synth programming, backing vocals) Eric Pseja (guitars, backing vocals), Aaron Nobel (drums, percussion), and Bryan Zeigler (guitars, backing vocals). 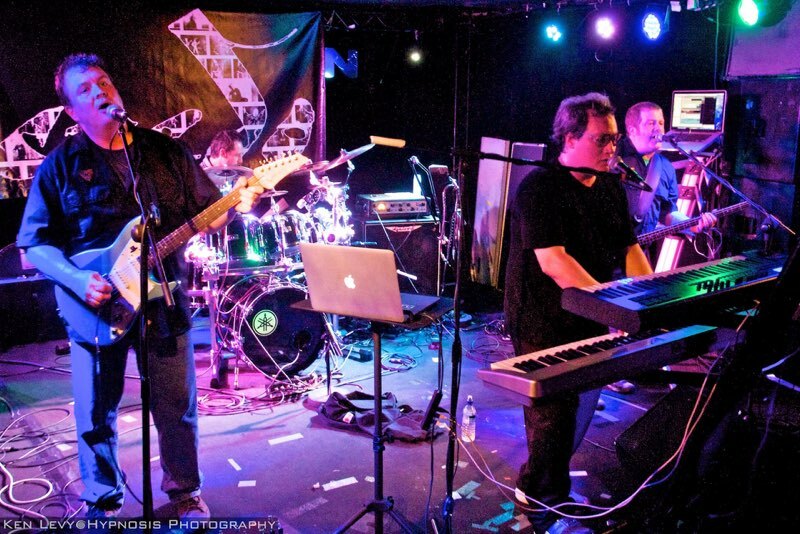 Their music straddles a number of genres – namely, grunge, art rock, and prog – earning them the catchall label of “crossover prog” alongside bands like The Tea Club, Moon Safari, Thank You Scientist, and The Pineapple Thief. In their spare time, three out of the six members of 3RDegree brew beer, and all of them enjoy devouring books and articles on complex philosophy and theoretical technology – largely resulting in dense material like Ones & Zeroes. The band recently concluded a tour in support of the album, which took them through some fine sections of Europe (France, England, Germany, and The Netherlands) as well as along several destinations on the US east coast. Other questions arise – poignant, critical questions, such as whether or not our right to privacy is real and preserved in such a futuristic environment: is it possible to “[keep] a secret in the age of the diode?” Furthermore, the question of compliance with common technological trends also arises as well: do we all need to improve? Should we all be made to? Is transcending our human limitations truly progress, or do we in fact become less human by overcoming our intrinsic shortcomings? In our quest to overcome death, what must we sacrifice? Ones & Zeroes is a unique take on all these issues and more, focusing its poignant critique on the ethics associated with the rapid progress of technology. 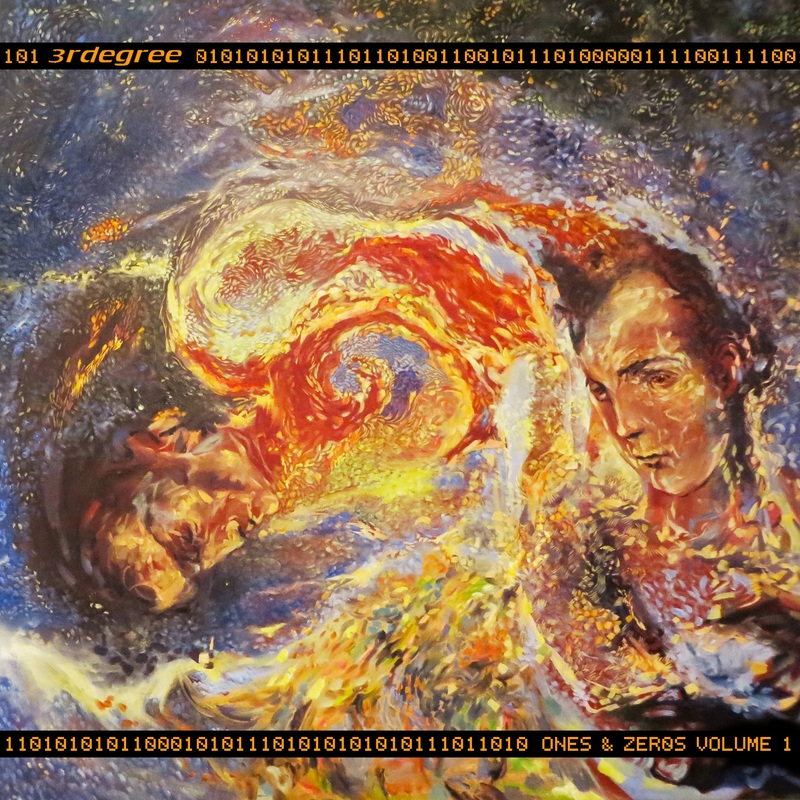 Ones & Zeroes begins with “Hello, World,” a sixteen-second snippet: an introductory message from Valhalla Biotech Corp, accompanied by the warbling musical jingle that will be associated with the enterprise throughout the album. “The Gravity,” the album’s 8:00-minute first song, fades in immediately thereafter. This tune grooves through 4/4, 7/8, and 6/8, featuring the full gamut of the band’s instrumentation – grungy and artsy electric guitars, acoustic guitar, synth, bass, and the drum kit. I hear a thematic allusion to the myth of Icarus in this one: overcoming the one obstacle to achieving flight was gravity itself. The chorus is a naysayer’s chant: “Surely you can’t escape the gravity.” To which the dreamer, the scientist, and the philosopher collectively say, “We can and we will.” The track’s final moments feature some well-orchestrated vocal gymnastics: three or more separate yet intertwining melodies over modulating drums and grooving bass. “This is the Future” kicks off in high gear, following on the heels of “The Gravity” without any hesitation. The hard rock, alternating measures of 4/4-2/4 feel very Porcupine Tree. This track is the first of many to feature a narrative insert by the genderless voice of the Vahalla automata, which starkly describes the hypothetical integration of “lifestyle appliances” into a cybernetic mainframe – where “every gadget is an extension of my motives and my ego.” Eerie lyrics such as these contrast with some bright guitar and spirited vocal delivery, and yet a dissonant conclusion hints at the uncertainty underlying any hope in technological miracles. The final seconds feature some acoustic guitar in 6/8, fading smoothly into the next track, “Life.” This song introduces what, to me, is perhaps the most poignant statement on the entire album: “Life is needing more.” To live is to need, to be dependent on nutrition, resources, relationships, and – in the Ones & Zeroes universe – upgradeable technology. “Life” features more of George’s dynamic vocal work and Pashman’s strong, supporting bass parts. After the Valhalla commercial tagged on the end of “Life,” pronouncing the notion that “aging is no longer a disease” thanks to new biotechnology, “The Best & Brightest” fades in. This track is largely concerned with the notion of an ultra-AI, or developing an artificial technological personality. This is the modern equivalent to what the nuclear arms race of the 60‘s once was: a contest of national superiority, control, and intimidation. The following track, “Circuit Court,” deals with the implications of privacy in the “age of the diode” – namely, that there can be no privacy in an era when everything is recorded, filed, and saved in memory banks. Another strong bass-helmed track, “Circuit Court” grooves in 4/4 with soulful, rhythmic anticipations, and features synth and guitar interludes through its instrumental segment. “Life at Any Cost” is the album’s longest track, nearly reaching 9:00 minutes, and is largely broken into three sections. Swaying in 6/8, acoustic guitar and bass comprise most of the tenuous first verses. The song maintains this constant, steady nature during its first third: no variation in meter or structure occurs until a Porcupine Tree-esque breakdown at the 3:00-minute mark – a grungy, guitar-lick-driven romp overlaid with synth lead, followed by some nicely interlaced guitar solos. The song then borrows and modulates the refrain of “Life” as the song transitions into gentler 4/4, before moving into a rapid 5/4 breakdown. The final third of the song returns to its earlier straightforward chorus, breaks down into a synth quotation of the chorus melody, and finally fades into another automated message from the Valhalla biotech system – this time addressing an individual who presumably has just undergone a “sentience transfer”: that is, the removal and virtual reconstruction of brain tissue in a subject. With this grim and unsettling citation, the song’s most dissonant and conflicted song begins. “What it Means to Be Human” serves the purpose of the album’s thematic anchor – it’s most central question – and also features some of the most rhythmically complex orchestration on Ones & Zeroes. The song transitions radically at its 2:00-minute mark into a choral-driven passage: voices – lots of them, as if so many individuals are swept up in the same kind of technologically-induced identity crisis – and percussion, before guitar and synth take the helm once more. “We Regret to Inform You” is a dense composition, mostly instrumental, and overlaid with drifting messages from the Valhalla mainframe, vividly outlining the potentially catastrophic effects of data corruption in a digital-only existence. The final track on Ones & Zeroes, “More Life,” returns to the sentiment of “Life” and reprises its powerful refrain one final time. Its hazy introduction is dark and acoustic-guitar-based, and the chorus – its lyrics previously bold in their earlier incarnations – now contain a palpable sense of uncertainty, regret, and perhaps even fear. The quest for life and its essence, instead of finding its solution in the biotech industry, has instead devolved into utter desperation. The final sounds to be heard on Ones & Zeroes are instrumental acoustic guitar and the ominous but scattered trill of the Valhalla jingle. It’s difficult for me to point to a favorite track or a highlight moment on this album, namely because the entire thing fits together so well and each track complements both the one it follows and the one it precedes. Recurring themes with variation abound, but aren’t superfluous. From my conversation with Pat and Rob, I understand that the band have plenty of ideas already in the works for Volume Two, which will directly link back to Volume One. I trust that the followup will be a suitable complement to a stellar first installment – not just as a sequel but as the second half of a comprehensive whole. Ones & Zeroes: Volume One is good. It’s challenging. It currently sits at number 3 on the Prog Archives’ best of 2015 list. It’s a bit like a musical puzzle, and I love the progression of the “plot.” Pick this one up ASAP if you’re into things like Blade Runner (or, if you’re a purist, Do Androids Dream of Electric Sheep? ), remember fondly old point-and-click adventures like Beneath a Steel Sky, if you like dark hypotheticals and musical narratives (à la Hibernal)… then be on the lookout for Volume Two when it drops sometime in 2016.